...they go by many names! 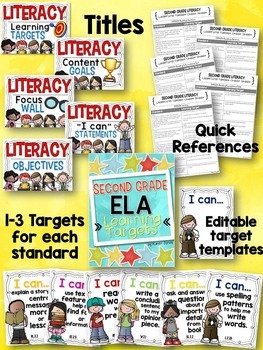 Learning Targets are standards-based "I can statements" written in TRUE kid-friendly language. 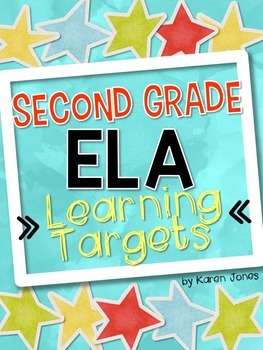 Learning Targets help to focus your instruction, and help students to understand the purpose of your lesson and what they are learning how to do. 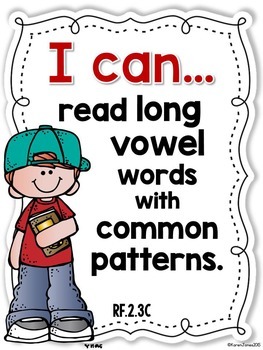 These Literacy-based posters are bright, easy to read, and contain standards written in developmentally appropriate terms for Second Graders. This pack is written and aligned to the Common Core Learning Standards. 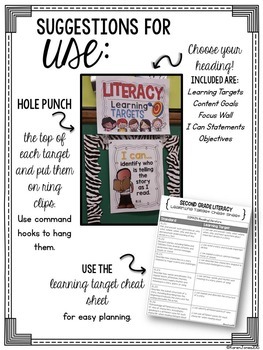 *Learning Target posters for ALL Second Grade LITERACY Common Core Standards, written as developmentally appropriate "I can statements"
Please see the preview above to check out what you will be receiving with this download.